Female footballers are celebrating silverware success after beating Brighton, Hove and Sussex Sixth Form College 6-2 in the Association of Colleges National Cup Final. The final was held at Walsall Football Club, where hat tricks from Amy Woodruff and Brittany Sanderson put the game to bed. Amy was awarded Player of the Match by the officials from the English Colleges Football Association for her outstanding performance. There were impressive individual performances from Phoebe Davis, Rebecca Jeffels, Emily Ward, Beth Ayrton, Tash Wiles, Caitlan Tattershall, Ebony Allen and Milly Tissington, who all played a vital part in the team’s success. 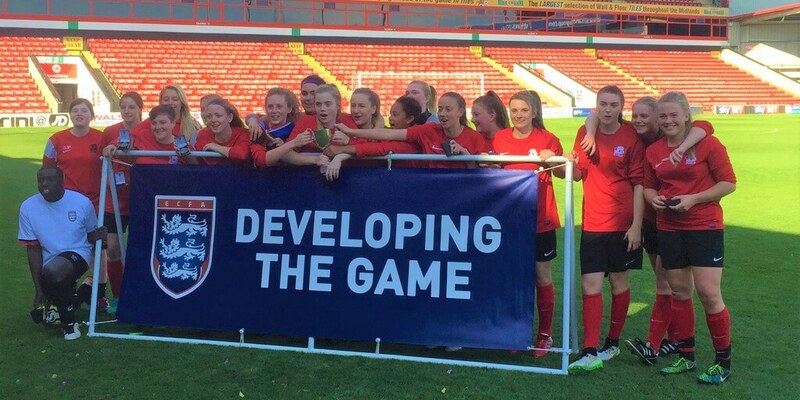 The success cemented a treble win for the female team who have won the Association of Colleges (AoC) Yorkshire and Humber League, the Association of Colleges National Cup and the Komm Mit International Copa Maresme Football Tournament in the past year.